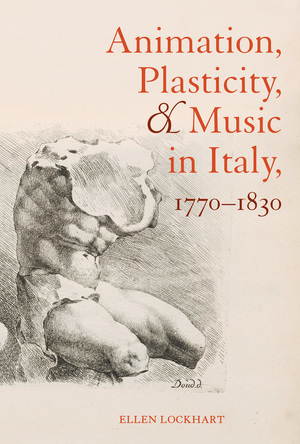 This path-breaking study of stage works in Italian musical performances reconsiders a crucial period of music history. Through an interdisciplinary examination of the statue animated by music, Ellen Lockhart deftly shows how Enlightenment ideas influenced Italian theater and music, and vice versa. As Lockhart reveals, the animated statue became a fundamental figure within aesthetic theory and musical practice during the years spanning 1770–1830. Taking as its point of departure a repertoire of Italian ballets, melodramas, and operas from this period, Animation, Plasticity, and Music in Italy traces its core ideas between science, philosophy, theories of language, itinerant performance traditions, the epistemology of sensing, and music criticism. Ellen Lockhart is Assistant Professor of Musicology at the University of Toronto. She has coedited, with James Davies, Sound Knowledge: Music and Science in London, 1789–1851, and her critical edition of Puccini’s La Fanciulla del West is forthcoming.